Snape is such a great character who has a lot of great moments. 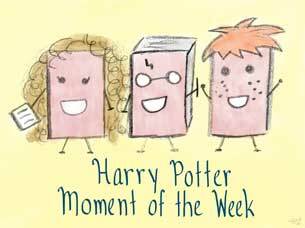 My absolute favorite moment is one from the movie adaptations though, in Goblet of Fire, when Snape smacks Harry and Ron in the back of the head during study hall. At the time, I thought it was hilarious, and even now, I find myself chuckling about it. I think I like that particular moment because it was one of Snape’s more humorous scenes, and he doesn’t really get the opportunity to show that side of himself. MERRY CHRISTMAS, LADIES!! Love y'all!